Year 2011 was very special for Askiitians. 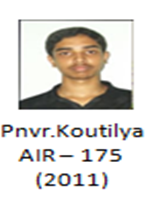 We have created a new record, when 296 of our students cleared IIT JEE 2011. We heartily congratulate all the 296 students, who burnt their mid night oils and after intensive preparation in one of the toughest exam in world, came as champions. 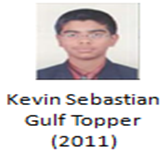 We have 293 more heroes who cleared IIT JEE 2011 battle. Askiitians.com wish best for each one of 296 students in his/her career.